Thanks for posting this list. It is mirrors a trend around the country of the media trying to avoid coverage of the peace movement and the impeachment movement. I guess it's no surprise that corporate media is there to cover the interests of corporate America and is a little out of touch with the interests of average folks. Thanks for keeping us all in touch with reality, Peter. I think you are mistaken Liza, the media puts that stuff front and center repeatedly. It's everywhere, and gets more coverage then it probably deserves. The list is not what they covered, it is what they thought the top stories were. The coverage of impeachment was thick and heavy, but like quite a few others, the media just didn't think it was a "top story." There certainly has been no attempt to avoid the peace movement. Every sit in was broadcast over the TV and in print, even after it had become repetitious. They just don't find it as important as you. Liza, as a supporter for investigations into impeachment, I understand your frustration. I just think it would be wise not to "react" against the "corporate media" and find other effective alternatives to get the issue covered.... substantially. IMO, the more we blame the corporate media, the more people (as well as potential media allies) turn us off. May I suggest meeting with TV producers (like VPT) and collaborate for an impeachment follow up? How can we secure coverage and discuss the issue intelligently (without sloganeering and rhetoric)? I think that's a start is the right direction (wiser I might add too). Speaking from experience, it doesn't help me when I take on this angle. There's more to advocating for investigations into impeachment and perhaps we need to take it to another level because I've seen people pick up on our sloganeering and rhetoric and turn us off because we keep saying and doing the same things over and over again. Maybe that's another reason why impeachment can't make it in the media. Our campaign is as strong as our weakest links. Instead of blaming others, why not deal with our weakest links. Blaming the media is a convienient excuse IMO. We can act more effectively than that. ". . . mirrors a trend around the country of the media trying to avoid coverage of the peace movement and the impeachment movement." 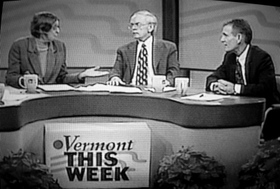 What is your evidence that Vermont This Week is "trying to avoid" coverage of the peace movement and the impeachment movement? ". . . corporate media is there to cover the interests of corporate America and is a little out of touch with the interests of average folks." 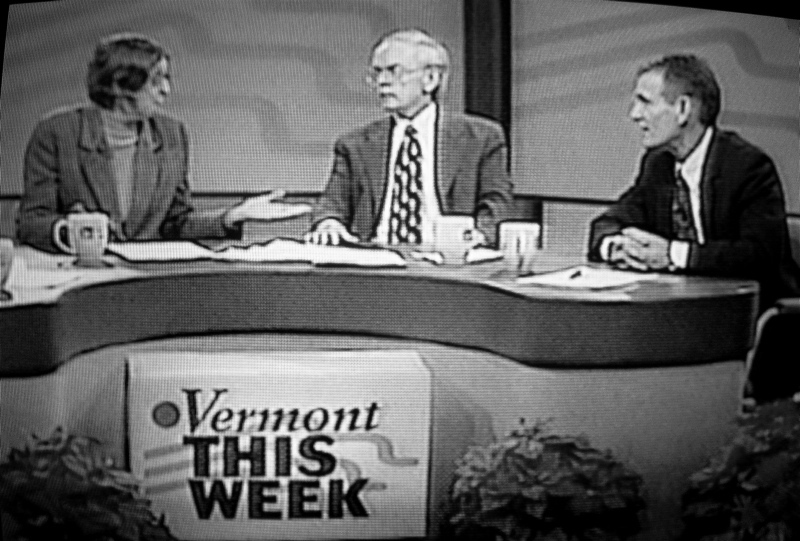 Do you have any evidence that the panelists on Vermont This Week represent "corporate America" and not Vermonters? 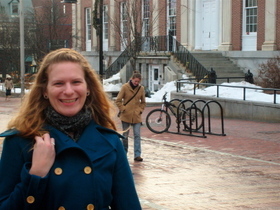 Why do you come to seemingly grand conclusions that there is something terribly wrong merely because the opinions of several journalists from Vermont This Week do not *exactly* match the opinions of 39 people on what are/are not the most important Top 10 news stories in Vermont of 2007? (According to Peter, only 39 VTW viewers voted.) No grand conclusions can be drawn from this insignificant fact-oid. As for those pesky "repetitious" peace protesters, they ain't half as "repetitious" as this damn war. You have to protest the same thing year after year, you're bound to run short of fresh material.